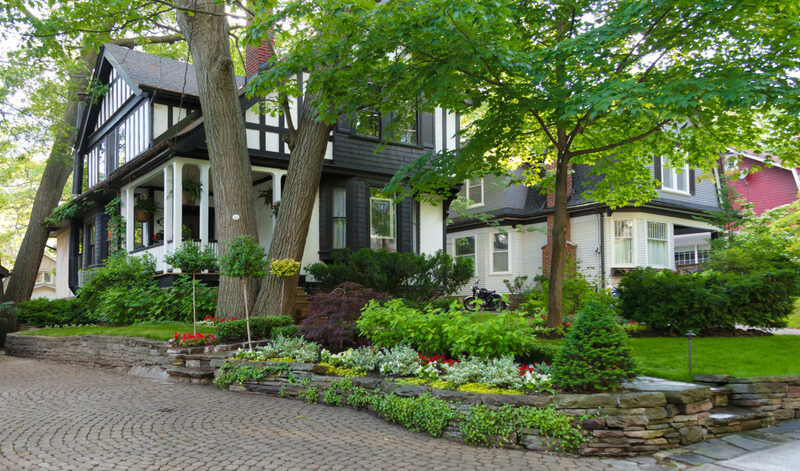 Contemporary style and a traditional home blend perfectly. 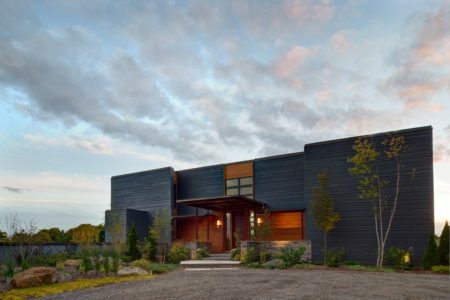 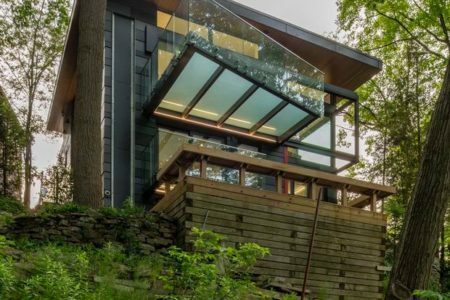 The clean lines of a contemporary landscape highlight the beauty of this the mature treed property and create an inviting space for dining al fresco with friends and family. 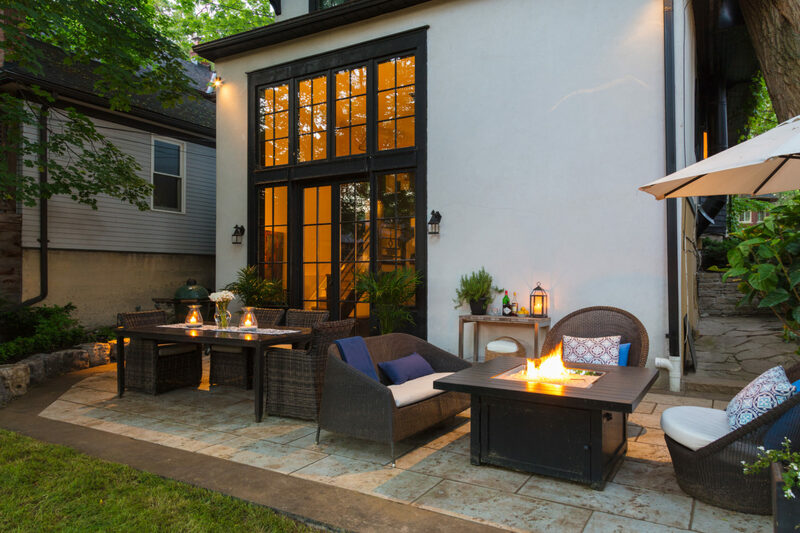 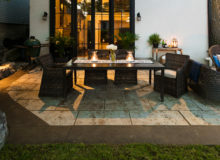 The addition of a fire pit extends outdoor time late into autumn. 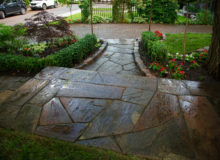 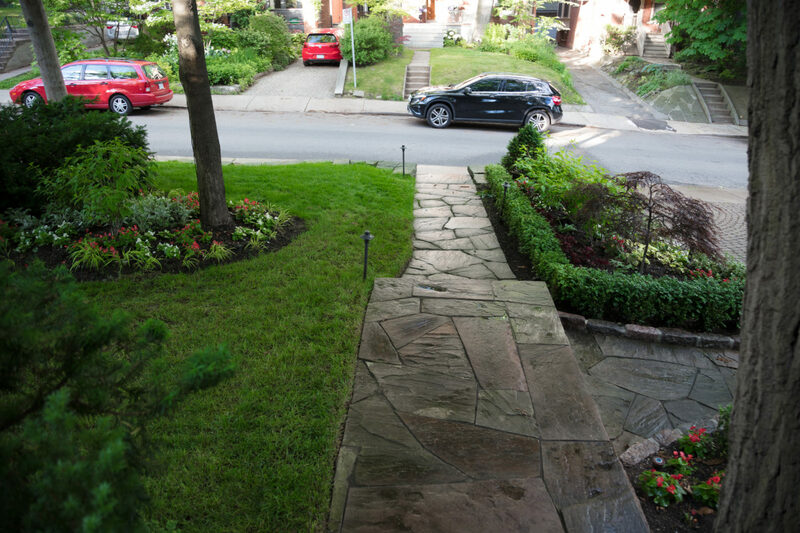 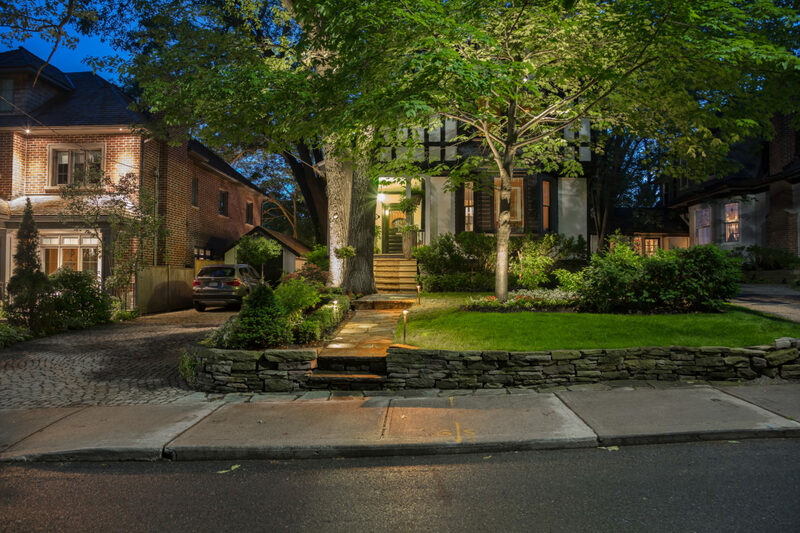 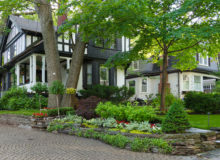 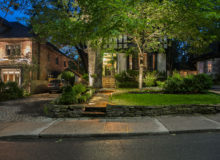 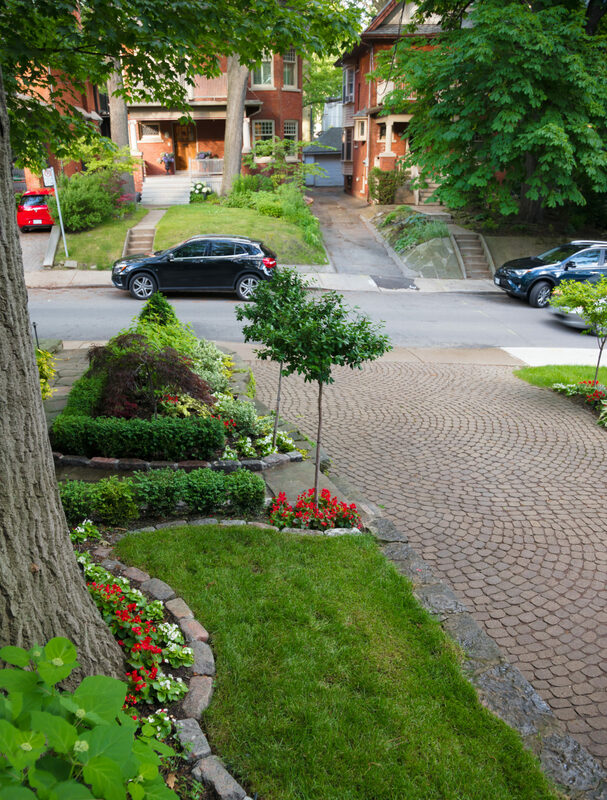 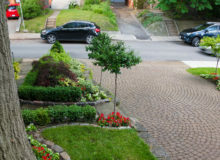 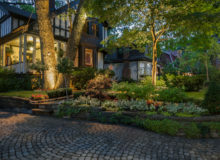 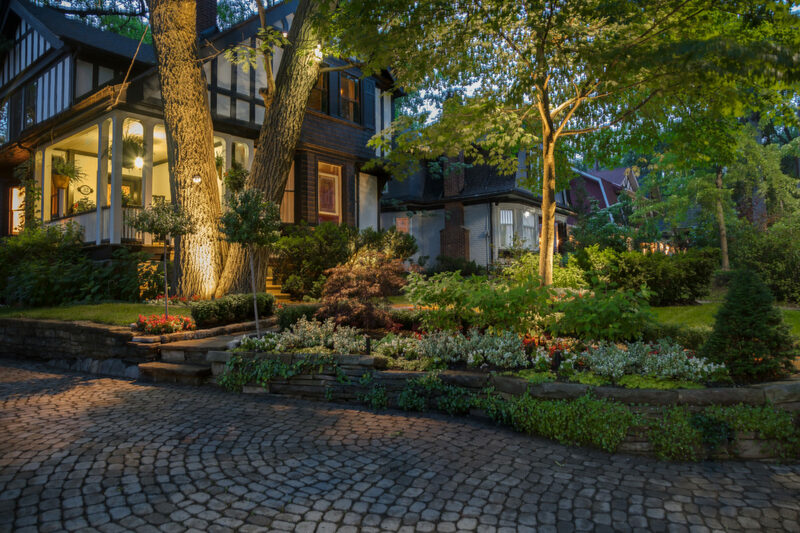 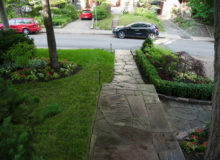 Stone patios, walkways and abundantly planted gardens give this property wow factor that looks timeless. 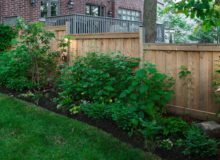 A new fence adds privacy and acts as a backdrop to the long garden that boasts beautiful shrubs like Rhododendrons, Hydrangeas, and boxwood. 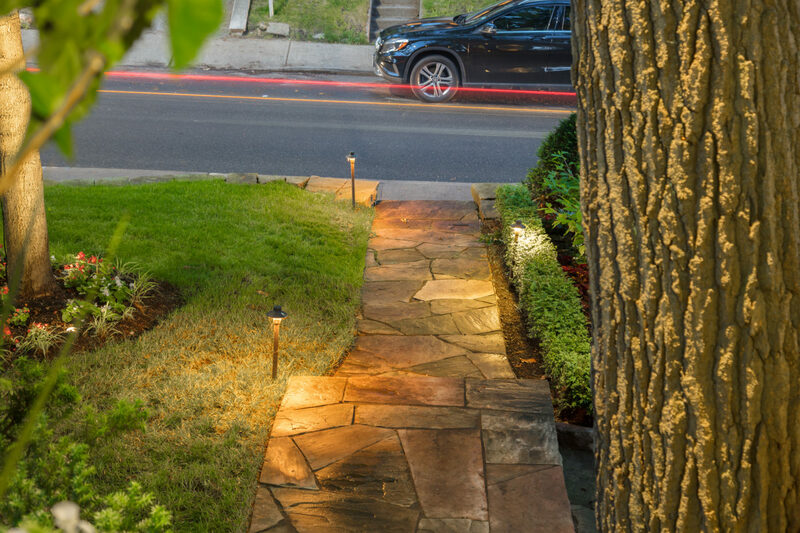 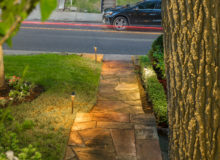 Night-lighting highlights features, adds drama and creates safe pathways along walkways.